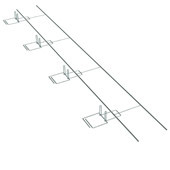 Also available with the Seismiclip® Interlock System (280 S.I.S. ), suitable for seismic zones. 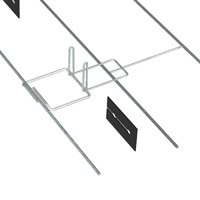 Swage & mild pitch on legs of the Byna-Lok Wire Tie provide an integral track for the continuous joint reinforcing wire. 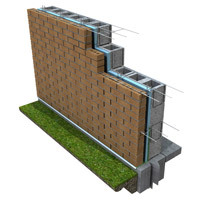 Suitable for standard 3/8" mortar joint. 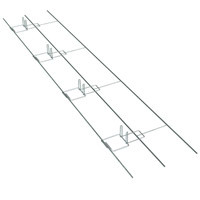 More surface engagement of the continuous wire and the integral track than any other system on the market. 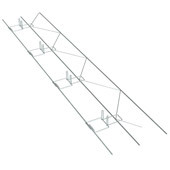 Reduces potential for incorrect placement or disengagement of the continuous wire due to workmanship error. 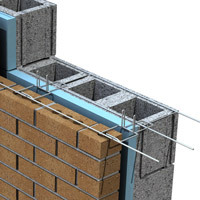 Hassle-free installation of continuous wire into the Byna-Lok Wire Tie. 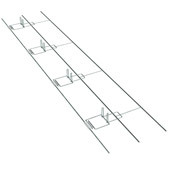 Suitable for use with a variety of H&B anchors (see below). 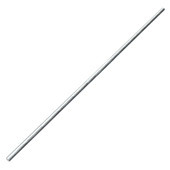 Available 3/16" dia. 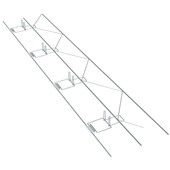 X 3", 4" or 5" long, Hot Dip Galvanized or Type 304 Stainless Steel.